At the Methodology course of the Master of Urbanism of the Delft University of Technology (TU Delft), several moments are dedicated to the discussion of what we call “the ethics of the built environment”. By this expression, we mean the ethics of the actions taken by governments, businesses and citizens in shaping the built environment. To summarise our position, it is obvious that EVERYONE is responsible for assuring that spatial justice is achieved, that projects, actions and policies are fair and sustainable; and that human suffering is avoided at all costs. Nobody is exempt from responsibility from their acts and opinions. We take up this discussion with the held of our valuable colleagues Peter Kroes and Stefan Koller from TBM. We have used real cases where architects and urbanists are involved in ethical issues in order to promote in-class discussions. Our intention is not to demonise professionals dealing with difficult issues in their daily activities, but to raise the awareness among students that ethical questions can and must be asked. In the past, excessive attention was given to either the aesthetic or the technical issues in Urbanism. Our mission is to include a THIRD DIMENSION: the ethical one. The trick is to answer the question: What is a Good Urbanist? And the answer could very well be: the good urbanist is the one who knows the technical issues, the one whose projects are technically sound and will not cause any harm to people using them. Or we could say that the good Urbanist is the one whose projects are beautiful (as beauty encompasses many dimensions as well) and is appreciated by everyone. We want to incorporate ETHICS in the discussion by saying that the Good Urbanist is the one whose projects and plans bring prosperity, justice and sustainability and avoid injustice, waste and deprivation. It is obvious to us that the truly good urbanist must incorporate the TECHNICAL, the AESTHETIC and the ETHICAL dimensions in his working life, however difficult that must be. Stefan Koller coordinates an extremely valuable group concerned with the Ethics of the Built Environment. Please, click HERE to visit the Architecture Philosophy, the journal of the International Society for the Philosophy of Architecture. Here is an article where an issue of ethics of the built environment is discussed. The article was written in response to the reaction of famous starchitect Zaha Hadid to being accused of indifference towards the death of Qatari construction crew working to build a landmark stadium in that Middle-Eastern country. Hadid famously sparkled controversy by saying that she was not “responsible” for the death of poor construction workers, which gave the impression that she was also “indifferent” to their sort, and made her appear cold and self-absorbed in the press. It turns out the discussion was not that simple. The text below, published on the American magazine “Vanity Fair” gives us an idea of the complexity of this discussion. The celebrity architect’s lawsuit got an apology out of The New York Review of Books, but she’s mistaken about having no influence on worker conditions for the buildings she designs. And here is the original The Guardian article that sparkled much of the controversy. Zaha Hadid, the architect of Qatar‘s most distinguishable stadium for the 2022 World Cup, on Tuesday defended her involvement in the project following the shocking number of migrant-worker deaths in the Gulf state. The Guardian revealed last week that more than 500 Indian migrant workers have died in Qatar since January 2012, adding to the 382 Nepalese deaths there in the past two years during construction work connected to the World Cup. After coming under severe pressure from human rights groups across the world, the Qatar 2022 organising committee recently implemented a new charter relating to construction on its stadiums and the ministry of labour highlighted an expanded inspection programme. Hadid, a prominent London-based Iraqi architect who has designed the Al-Wakrah stadium in Qatar, said the migrant deaths were a serious problem but it was a matter for the Qatari government. […] CONTINUES. Further commentary about the consequences of Hadid’s lawsuit against the architectural critic who debunked here were published by architectural magazine ArchDaily. Hadid’s lawsuit did manage to elicit an apology from Filler, but probably not the one she was hoping for: Filler posted a retraction admitting that his review confused the number of deaths involved in all construction in Qatar in 2012-13 (almost 1,000) with the number of deaths on Hadid’s own Al Wakrah stadium (exactly zero). However, much of Filler’s comments criticizing Hadid’s cold attitude to conditions for immigrant workers in Qatar remain unaddressed. […] CONTINUES. “Discourse analysis is based on the understanding that there is much more going on when people communicate than simply the transfer of information. It is not an effort to capture literal meanings; rather it is the investigation of what language does or what individuals or cultures accomplish through language. This area of study raises questions such as how meaning is constructed, and how power functions in society”. Discourse analysis is important for Urbanism studies because planning and design for cities and regions involves textual and graphic communication with actors and stakeholders. They constitute a network of power relations where decisions are taken. This is also called politics. Plans and designs are enacted in political arenas and must take into account the opinions, desires and wishes of stakeholders. The urbanist (planner + designer) is not an all powerful actor who decides everything. He or she needs to work in structures of governance that are already in place. In order to effectively plan and design, the urbanist must understand these relationships in order to design the processes of implementation that are crucial for any plan or project. This means that power relations must be understood, managed and perhaps redesigned in order to allow for plans, projects and designs to be conceived collectively, accepted, financed and finally implemented. Discourse analysis helps unveil the true intentions of stakeholders and help understand what their interests and objectives are. Discourse analysis is part of a more general research skill called “critical thinking”. According to Harvard : “To conduct discourse analysis, a researcher generally selects texts. The term text connotes a wide-range of possible data sources including transcripts of recorded interviews, movie scripts, advertisements, or a company’s internal documents. Discourse analysts usually select texts that are as complete as possible – an interview transcript may be written up including all of the pauses, errors, and corrections”. To watch a wonderful informal example of discourse analysis, watch the video of Jon Stewart of the comedic programme “Daily Show“. 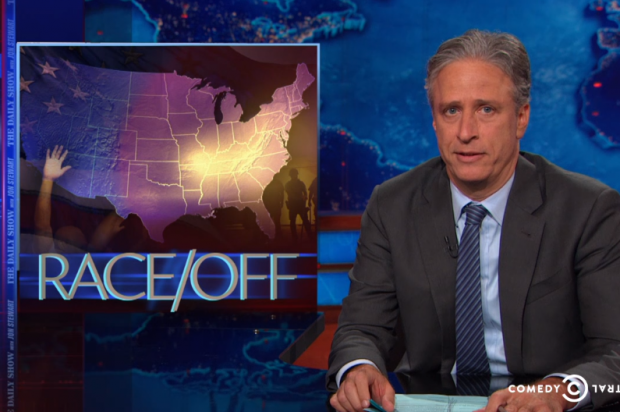 Stewart focuses on the racism of the media during their coverage of an incident where an unarmed black teenager was shot by policemen in Ferguson, Missouri (US). Stewart does discourse analysis of the highest level by dissecting speeches of politicians and reporters, supporting his arguments with flawless logic and facts. To watch the video, click HERE. HARVARD (2014) Foundations of Qualitative Research in Education, http://isites.harvard.edu/icb/icb.do?keyword=qualitative&pageid=icb.page340345 Accessed on 28 AUG 2014, 13h30.